Master Perfumer Lorenzo Villoresi is decidedly not prolific, and we are all the better for it. He is the perfect example of the glories that can occur when one takes their time. Masterpieces cannot be created in large batches – let’s face it, Da Vinci didn’t churn out canvas after canvas. With the recent boom of niche perfumery, the large majority of lines are suffering from too much of a good thing. We don’t really need more lines launching 12 fragrances at a time. What we need is one fragrance that has been contemplated, studied, refined, edited, and perfected. In this month’s interview with the perfumer, Lorenzo Villoresi speaks on trends – “if everybody follows the trend, then the market is flooded and the result is a major lack of originality. It is not a problem for a certain corporation to make 100 good compounds. That is not a problem – but we are talking about something else. A good compound or a good fragrance that has a total identity, including name, packaging, essences – everything.” But a trend doesn’t just have to be celebrity scents or an abundance of fruity florals. In fact, the niche market is now flooded with new fragrance lines that, well…just aren’t that good. It seems that has become a trend in itself. And why aren’t they good? Because, quite simply, the creative process has been rushed. Fortunately for us, Lorenzo Villoresi doesn’t fall into that category – he never has. He takes his time. 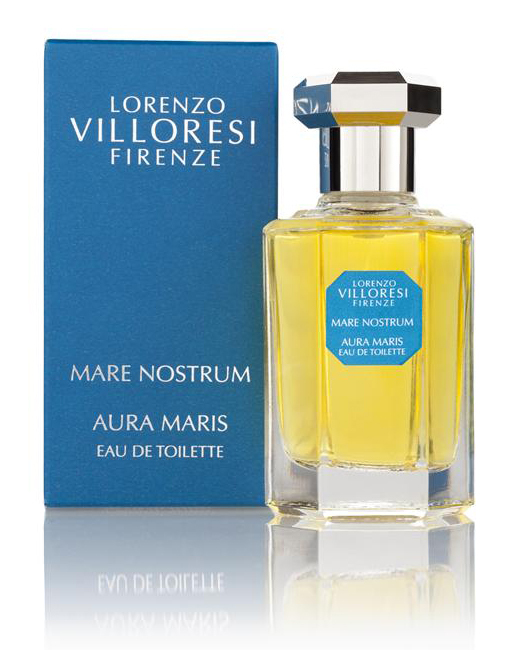 And when the perfumer set out to develop Mare Nostrum, a new collection of fragrances for his maison, did he release 6? No. How about a duo – a masculine and a feminine, perhaps? No. He released one. Aura Maris (The Sea Breeze). As you will notice in the Interview, Villoresi maintains a strict focus on the story, and the one that accompanies each of his creations sets the proper tone. Aura Maris’ story is rich, filled with legend and lore that celebrates the earth’s largest personality: the sea. Crossed by sweet currents, caressed by the breath of soft breezes and countless changing perfumes. Mighty, generous sea, the scene of exciting visions that cannot be told, salvation and danger alike for men and for heroes. There, skimming the crest of the waves, Poseidon rides his chariot drawn by golden-maned horses. In the deepest seas fair Nereides live, their long locks wafting in the foamy waters, to the sound of the salty surf. This latest fragrance comes more than a year after the perfumer’s last release, 2011’s Iperborea. The success of Villoresi is his patience. In the span of time since Iperborea, many other lines would have released 5 or 6 new fragrances – and probably unnecessary fragrances, at that. But Aura Maris is a very necessary perfume – and it passes the test of the three most important criteria for a perfume – quality, individuality, and signature. First of quality. Villoresi’s selection of the world’s finest raw materials is evident throughout his entire line, but shines even brighter in Aura Maris. A complex intertwining of energetic citrus and soft florals opens the composition. The citrus performs perfectly to illustrate the energy of the sea. In the heart, narcissus – a very welcome addition that mingles with the aromatic woods and musky base and does well to suggest cargo holds of ancient vessels; perhaps, even ones now lying at the bottom of the Mediterranean. The fragrance has a distinct presence and in fact, I’ve smelled nothing else like it. Individuality is an important characteristic of the trifecta because without it, there can be no advancements in artistic creations – there is nothing to be inspired by. Aura Maris is a fragrance that one cannot help but be inspired by. The marvel of the fragrance is its suggestion of the sea without being a marine fragrance – there is no ozone, and barely a hint of water. One smells salt-sprayed sea cliffs, possibly even slightly briny. 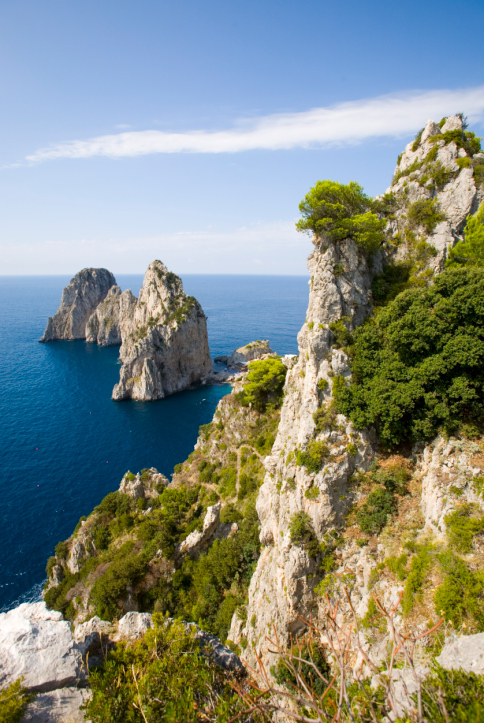 The choice woods and florals mirror cliffs and vistas filled with dry Mediterranean scrub. The unique scent has a remarkable signature – its presence has noticeable staying power and remarkable sillage. The first entry into the Mare Nostrum collection skims the surface of the Mediterranean. It is designed to be the slightly more feminine counterpart to the next fragrance which will be slightly more masculine. Aura Maris is the breeze that skims the sea, gathering whispers and mists of what lies beneath. I cannot wait for the next fragrance, when Villoresi takes the plunge and explores the depths. Aura Maris has quickly become one of my favorite releases of 2012. Aura Maris is now available online from The Perfume Shoppe.